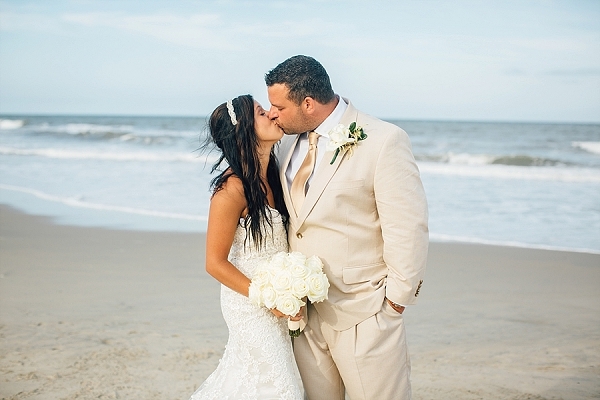 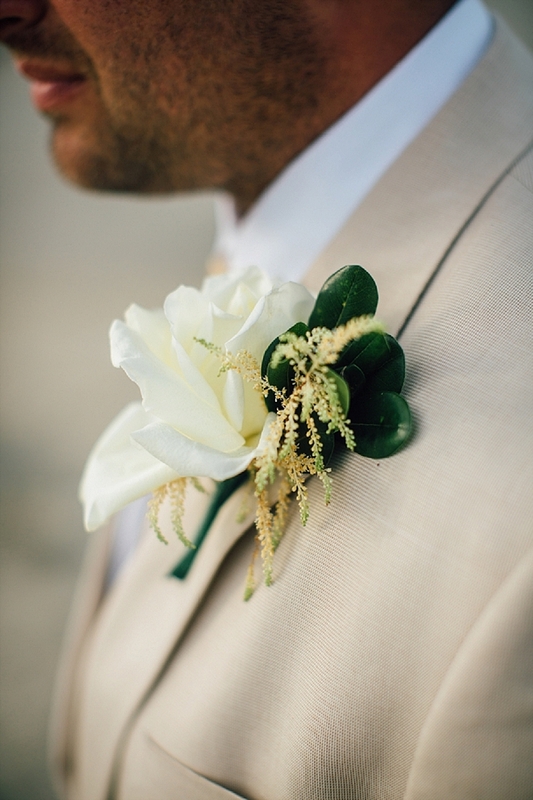 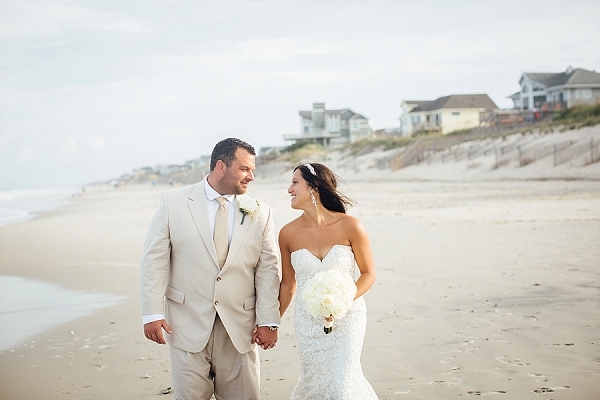 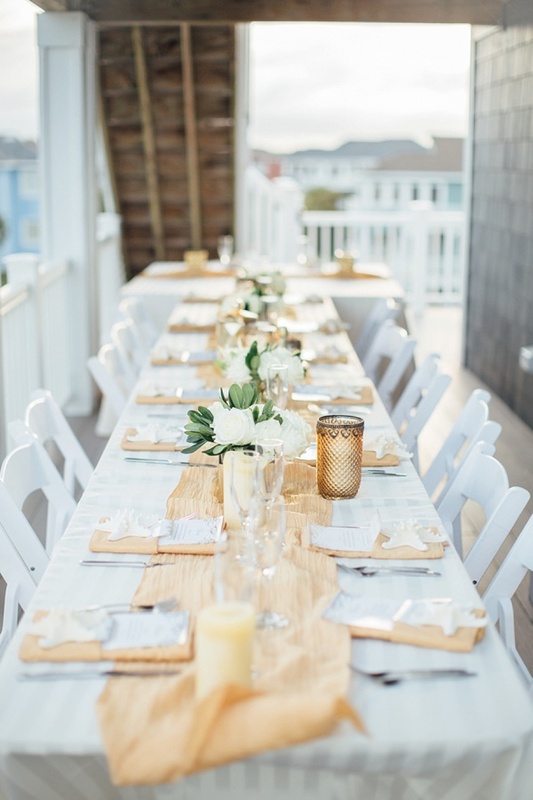 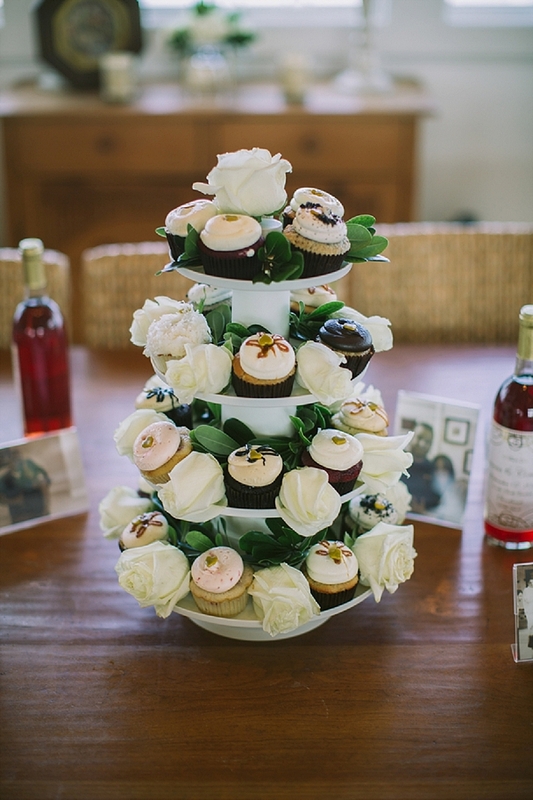 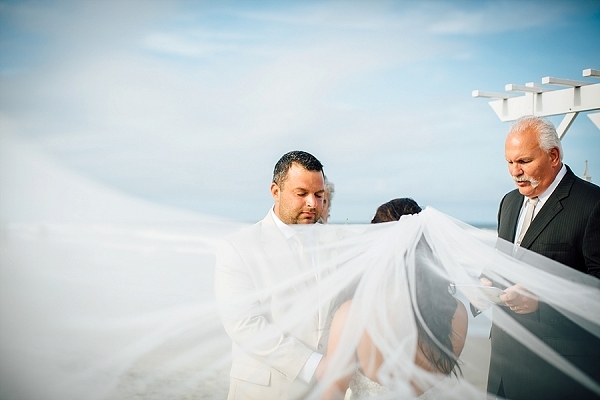 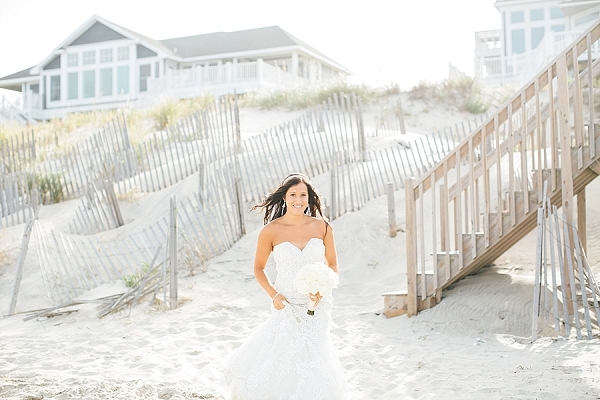 The idyllic coastal views of the Outer Banks lend themselves to the seashore elements of Giavonna and Constantine's sweet beach house wedding. 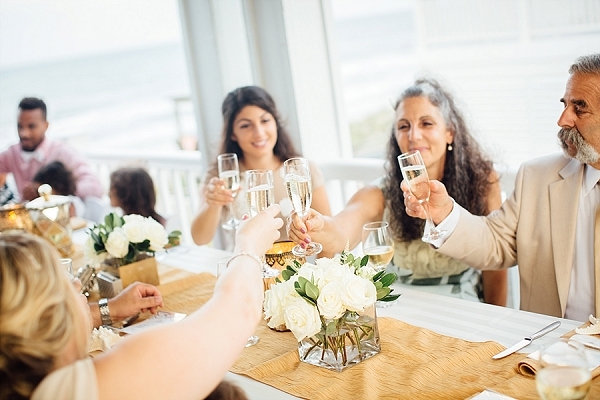 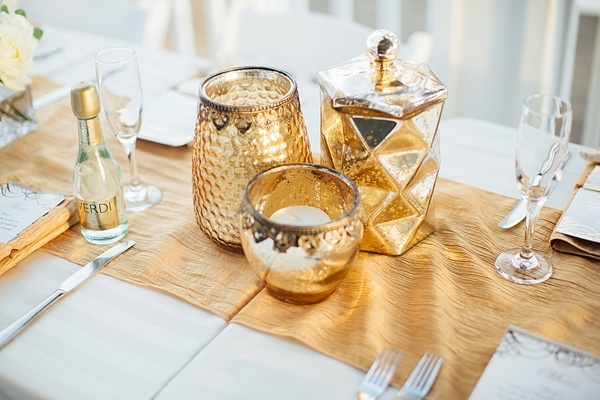 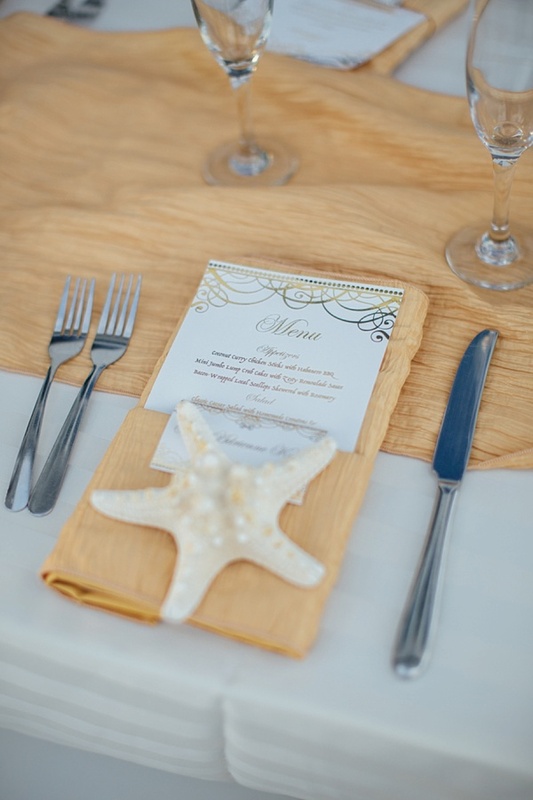 This lovely couple chose Corolla, North Carolina as the location for their oceanfront affair, complementing the location with starfish elements, gilded menu cards, and golden mercury glass speckled throughout the intimate reception. 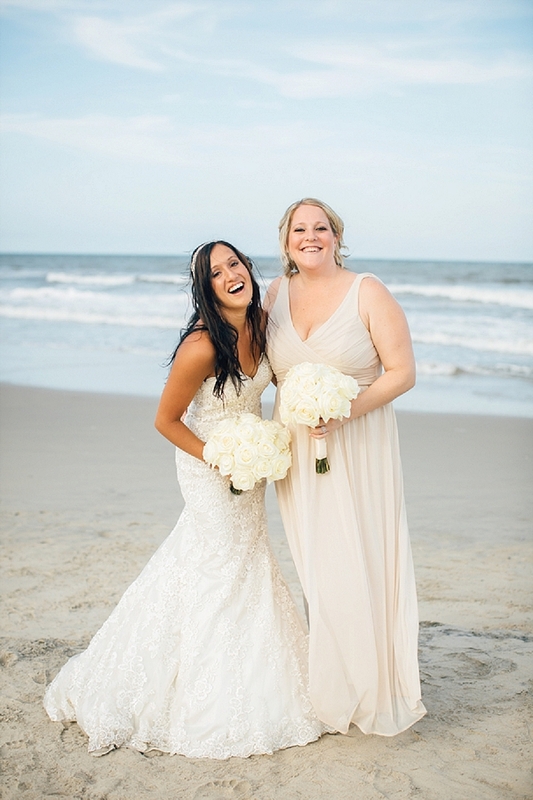 Giavonna even chose to forego a traditional wedding updo in favor of beachy, sunkissed waves accented by gorgeously glam chandelier earrings! 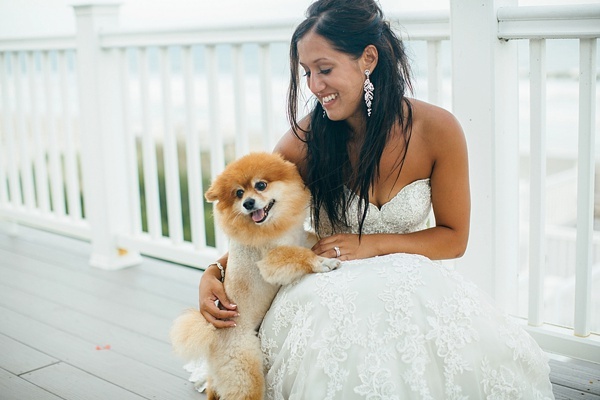 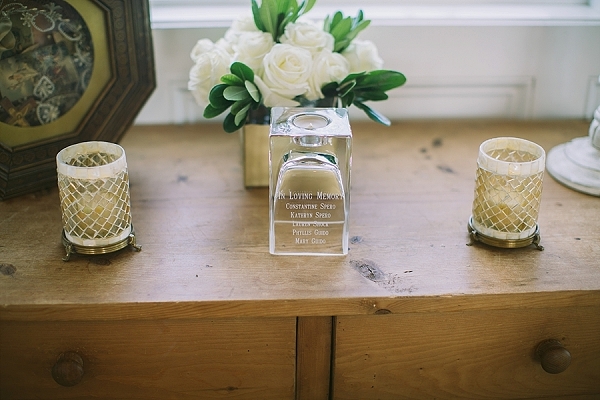 Captured by Sarah D'Ambra Photography, personal details such as their special memorial tribute to those who were there in spirit to the family-style seating to even her furry best friend in attendance brought the whole family together for a special casual, yet chic celebration to remember.